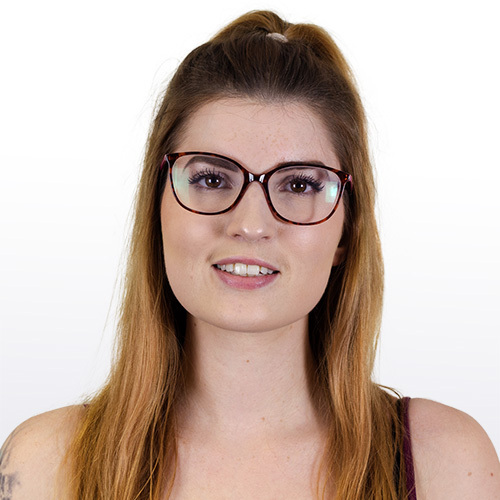 Our coverage round-up comes from our lovely and always brilliant client Sunshine.co.uk again today as they are receiving amazing coverage for the reactive statement they issued a few days ago. 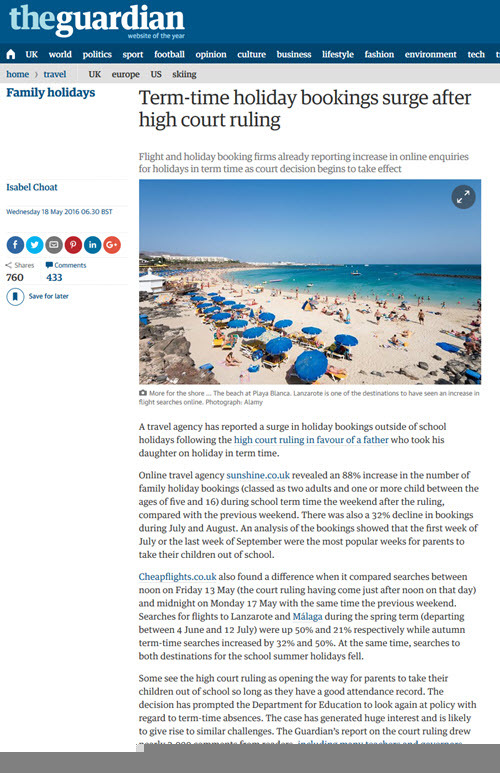 The statement was issued after the dad, who recently refused to pay a £120 fine for taking his child out of school to go on holiday during the school term, won his case in the high court. 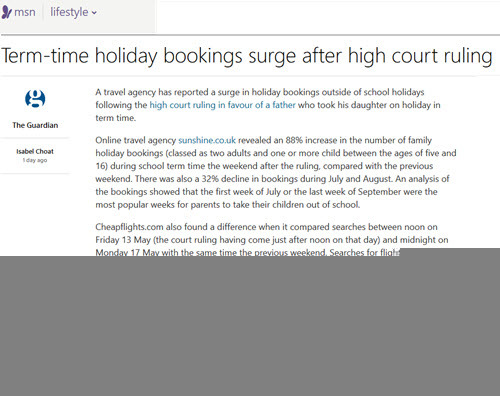 After he won the case, Sunshine.co.uk noticed a surge in people booking holidays during term time. Below is the coverage as it appeared on Mail Online, ITV, The Guardian, The Telegraph, The Times, Yahoo!, Express and MSN!